“I don’t want to look like I had a facelift!” This is often the first concern a patient expresses during a consultation for facial rejuvenation. If you are like the majority of our patients, you want procedures that will improve your appearance without resulting in obvious signs of surgery. Reno plastic surgeon Tiffany McCormack, MD is happy to report that the “wind-blown” look of the past has been replaced with more natural-looking results that are achieved through both surgical and non-surgical techniques. The ideal of cosmetic procedures today is not to create a “new” face, but one that appears refreshed, less tired, and restored to a more youthful aesthetic. In short, our goal is to help your outward appearance reflect how you feel on the inside. Dr. Tiffany McCormack has successfully helped numerous people achieve the beautiful look they desire through plastic surgery. With a facelift, women and men can look years younger, improving their interpersonal confidence and self-esteem in the process. A facelift, also referred to as a rhytidectomy, is a surgical procedure designed to firm, tighten, and smooth the skin for a younger-looking facial appearance. Over time, the natural aging process combined with other external and internal forces—such as sun exposure, weight fluctuation, use of tobacco, and genetics—can lead to a number of changes in the face. Many individuals experience wrinkles and fine lines, a loss of facial volume, and increased skin laxity. This often causes a number of aesthetic concerns, including loose or sagging skin, jowl formation, and pronounced facial creases. Facelift surgery can be a powerful way to address these signs of aging and achieve a more youthful and rejuvenated look. The procedure involves repositioning underlying facial tissue to smooth and tighten skin while highlighting the youthful contours of the face. Dr. McCormack tailors the surgery to fulfill your cosmetic goals and yield natural-looking results that can complement your intrinsic beauty. The best candidates for a facelift seek a long-lasting solution to improve the look of skin laxity, wrinkle formation, and/or volume loss in the face. Those considering surgery should also be relatively healthy, with no uncontrolled medical conditions that may interfere with the healing process. During a consultation, Dr. McCormack will ask you about your cosmetic goals, review your medical history, and assess your aesthetic concerns to help you determine whether a facelift would be beneficial. If you decide to proceed with surgery, she will develop a custom-designed treatment plan according to your unique needs. In order to help our patients reduce signs of aging, such as deep folds and sagging skin, we offer various facelift procedures at our Reno-area plastic surgery office. A conventional facelift involves altering the skin of the face and neck. While you are under anesthesia, Dr. McCormack will reposition the skin and fatty deposits in these areas to produce a younger, more rejuvenated appearance. For those who wish to also address the upper third of the face, a brow lift and/or eyelid surgery can typically be performed in combination with the facelift procedure. 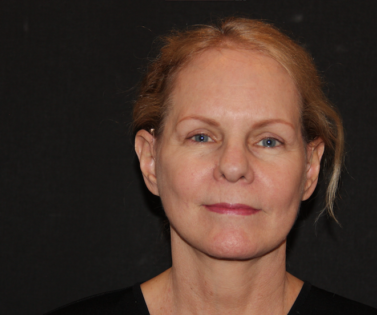 A mid-facelift is a surgical alteration of the cheek area. Fat and muscle tissues of the cheek are removed or tightened in an upward direction to produce a firmer, tighter, and younger appearance. Deep furrows between the nose and upper lip are particularly responsive to this treatment. Although full recovery can take up to three months, most patients who undergo a mid-facelift at our Reno-area facility can return to work within a few weeks of their procedure. During the neck lift procedure, Dr. McCormack removes excess fat and tightens the skin and muscles of the neck to produce a more youthful appearance. Surgery is done under anesthesia, and the recovery period is similar to that of a facelift. While facial aging is a fact of life and the skin of the neck tends to sag, with fat deposits collecting around the neck and jaw, the surgical procedures of today do not result in one looking overly-pulled as a “drum pad” would. Having completed specialized training in facial plastic surgery, Dr. McCormack can effectively correct many of these unwanted issues for patients. After facelift surgery, patients will experience some degree of normal post-operative bruising or swelling. These reactions typically subside as the healing process progresses, but oral pain medication can be used to manage any discomfort. Most stitches will be removed after five days and you will, most likely, be able to go back to work about two weeks after facelift surgery. Strenuous activity and aerobic exercise should be avoided until these activities are cleared by Dr. McCormack. Your new appearance should start to become apparent approximately three weeks after the surgery, with full recovery taking place within three months. As facelift surgery is designed to restore the youthful characteristics of the skin, many patients generally enjoy a more refreshed and reinvigorated facial aesthetic after the procedure. While the aging process will continue, individuals can prolong their results by using sun protection whenever possible and undergoing rejuvenative touch-up treatments from our Medi Spa as necessary. 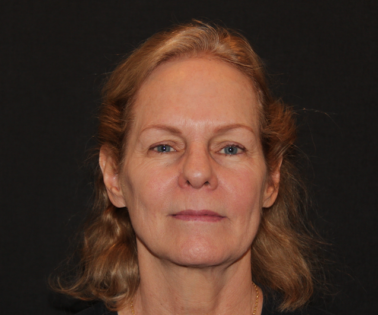 If you are interested in facelift surgery, we invite you to view our results gallery, which features many before-and-after photos of facelift surgery patients. If you would like to schedule a consultation with Dr. McCormack to discuss your options for facial rejuvenation, please call us at (775) 284-2020 or fill out our online contact form. While a cost estimate for facelift surgery cannot be determined until your needs are assessed during a consultation, we understand that price is a major consideration in any cosmetic procedure. According to patient reviews from RealSelf.com, the average cost of a facelift near Reno, Nevada is approximately $11,125. To accommodate the diverse needs of our patients, we accept a variety of payment methods and work with several of the leading plastic surgery financing companies in the nation, including CareCredit®, Prosper® Healthcare Lending, and Alphaeon™ Credit. These options offer a number of flexible plans for qualified applicants that can bring the cost of facelift surgery into your budget. Please reach out to our office to speak to a friendly member of our team if you have any additional questions about the cost of a facelift.